James Joseph Blake was born in Clonaslee, Ireland, on February 28, 1850, the son of James Blake and Anna Doolan. He entered the novitiate at Villanova, Pennsylvania, in 1871, made his first profession on January 22, 1872, and his solemn profession of January 24, 1875. He was ordained to the priesthood by Bishop Stephen Ryan, C.M. of Buffalo, New York, at the church of the Vincentians in Germantown on July 19, 1875. Father Blake was appointed Vice-President at Villanova College on October 15, 1876, and was re-appointed in 1878. At the mid-chapter in July of 1880, he resigned this position, and in July 1882 he was named pastor of St. Denis Parish in Havertown, while residing at Villanova. From January, 1886 until March 1891 he was a trustee of the college. 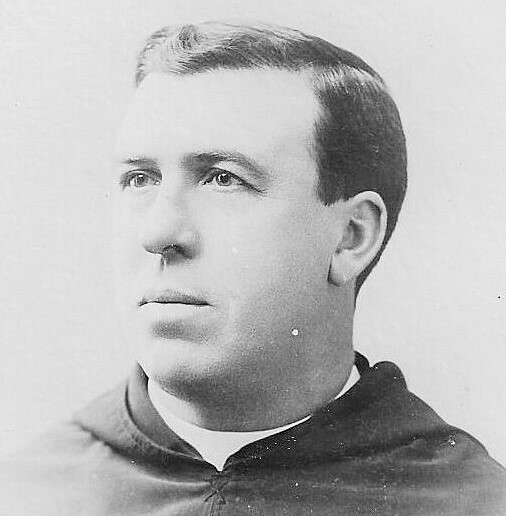 In july, 1886, Father Blake was named prior at Villanova and pastor of the parish. During his term of service, the Villanova church was completed in 1887. In 1890, Father Blake was elected a definitor of the province and was transferred to Lansingburg, New York, where he served at Saint Augustine Parish until his death on January 21, 1892. He was 42 years old. Bishop Francis McNeirny was celebrant of the Solemn Mass of Requiem at Saint Augustine Church, at which some one hundred priests were in attendance. Father Blake was buried in Saint Saint John Cemetery in Troy, N.Y. Newer Post Leo P. Cavanaugh, O.S.A. Older Post Henry A. Caffrey, O.S.A.